Hermès opened its first boutique in Chelsea at 179 Sloane Street in 1987. 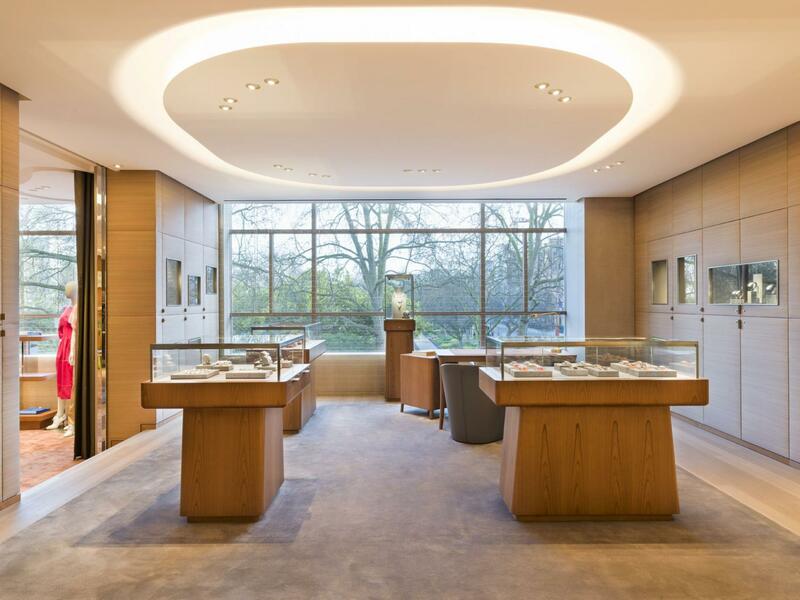 Exactly three decades later, the luxury French fashion house has relocated to a seductive new, multi-storey home at 1 Cadogan Place. 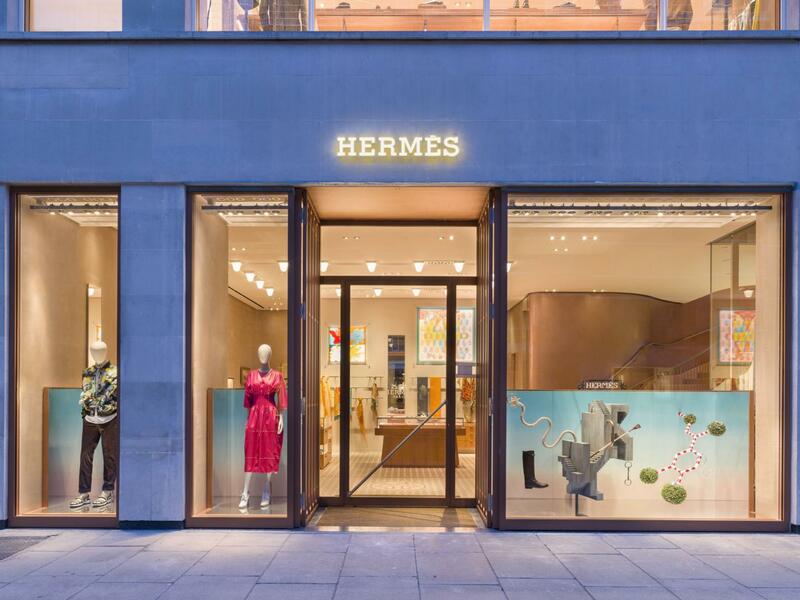 Located a hop, skip and a Birkin bag from the original boutique, the new emporium is nearly double in size and houses the entire Hermès universe. The listed building was originally designed by Michael Rosenhauer, the revered architect coincidentally also responsible for the Hermès flagship on New Bond Street, situated within the iconic Time & Life Building. The mosaic-tiled entrance to the Cadogan Place store, stamped with the house motif below a dramatic double-height ceiling, sets the tone for an opulent boutique that pairs brand heritage with modern elegance. The boutique unfolds over two floors, united by a grand, undulating oak staircase that is deliberately curved to temper the building’s strict, 1950’s angles. Glossy, Marmorino walls are matched with sumptuous silk carpets in signature warm Hermès caramel hues, flourished with scintillating copper and marble. 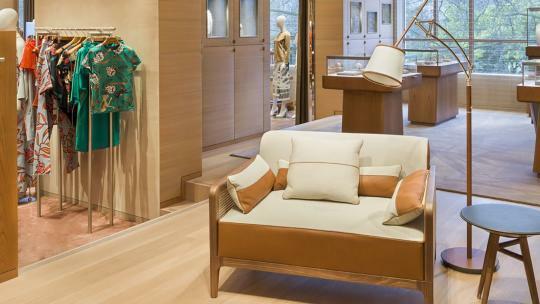 The store is furnished with supple Hermès Etoupe leather and armchairs exclusively designed by RDAI architects, the French fashion house's long-time design partner. Natural light streams through dramatic picture windows, which overlook Codogan Square’s verdant, preened private gardens. The stars of this store though are, of course, the collections. The boutique houses all 16 of its métiers, including leather accessories, ready-to-wear, watches, fine jewellery and fragrance. 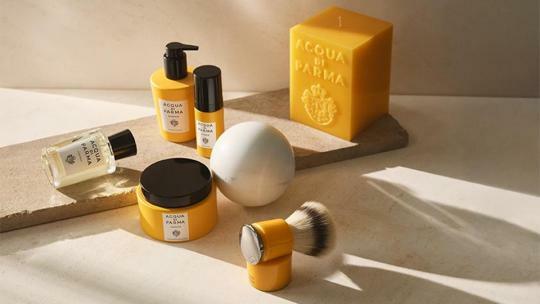 Moving around the generous space, you effortlessly segue from one collection to the next, strolling from saddles to silk scarves, housewares to knitwear. 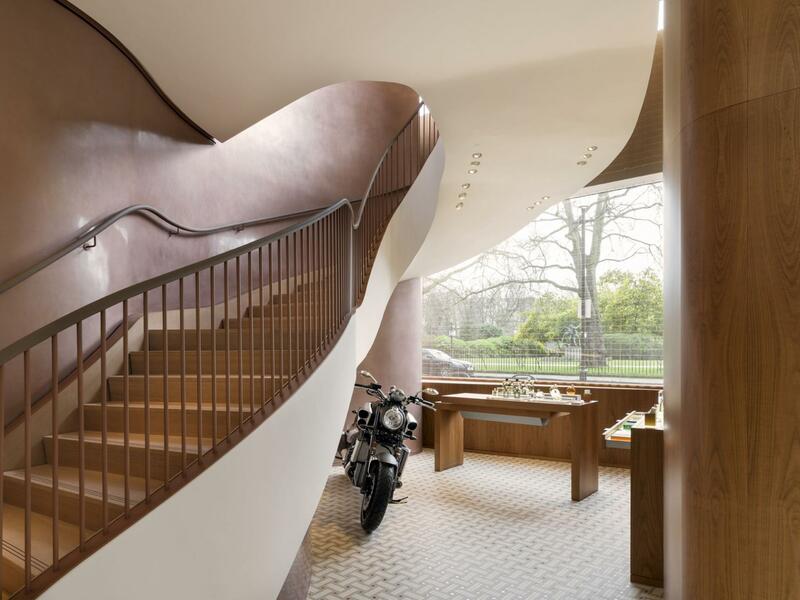 A leather Hermès motorbike is parked beneath the staircase, exemplifying the echelons of bespoke artistry available. You name it, Hermès will craft it, from bicycles to buggies. It was Hermès after all that famously created a leather wheelbarrow for the Duke of Windsor as a gift for his wife in 1947. Founded by Thierry Hermès in Paris in 1837, the fabled fashion house is renowned for its impeccable design and rich, storied narrative. Once a specialist horse harness workshop, it is now synonymous with high fashion, stylish housewares and cult carryalls, most notably its highly coveted Kelly and Birkin bags, so-called after Grace Kelly and Jane Birkin respectively. Heritage and French history is articulated through equestrian artwork that peppers the walls, alongside naval battle ships and Parisian cityscapes. A beguiling, surrealist window installation created by artist Fotis Evans is dotted with house motifs, including playful horses, saddles and hero products. The new boutique also showcases a range of exclusive products including the re-issued London Bag in four, limited-edition colourways. The iconic design was first created in 1962, characterised by a clasp inspired by the epaulettes on the London Police Officers’ uniform. 1 Cadogan Place, London, SW1. 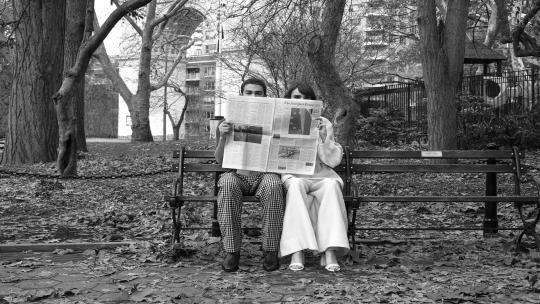 For the latest news on and around Sloane Street visit www.sloanestreet.co.uk/en/newsletter.